NigeriaTrends.com — Two of Nigeria’s top and richest pastors, Prophet T.B Joshua and Pastor Chris Oyakhilome, have both been exposed for their use of African juju powers to perform miracles; NigeriaTrends.com have gathered. T.B Joshua and Chris Oyakhilome, who have been trending in the topic ‘Nigeria’s Five Richest Pastors Revealed!‘, have been exposed as fellow clergyman makes shocking revelation regarding their powers. The person making the shocking revelation is Bishop Kayode Joseph Abiola Peller, the General Overseer (GO) of the Fingers of God Church, Alagbado Lagos state. Bishop Peller who is son of the late renowned magician, Professor Peller, calls out clergymen Senior Pastor of The Synagogue Church of All Nations (SCOAN), T.B Joshua, and Chris Oyakhilome, founder of Christ Embassy; accusing them of being magicians. The General Overseer (GO) of the Fingers of God Church, Alagbado Lagos state, Bishop Kayode Peller,has cast aspersions on Senior Pastor of The Synagogue Church of All Nations (SCOAN), T.B Joshua, and Chris Oyakhilome, founder of Christ Embassy. The renowned magician cast aspersions on the duo, saying his colleagues in the ministry—use their eyes with demonic powers in them, to superimpose their thoughts into people. He claimed that while T.B Joshua uses Kabballah magic to hypnotize his congregation and the general public over his miracles, and that Chris Oyakhilome’s association with Joshua makes him a suspect. Speaking on Oyakhilome, Peller said: “I used to believe Oyakhilome before. That ended the day I saw him and Joshua doing miracles and castigating our pastors, Ayo and Okonkwo. According to the Bishop: “They use the eyes with the demonic power in them to superimpose their thoughts into people. It happens, for most of those walking in the streets have very weak spirits. For there is witchcraft ability in every man. Defending his criticism on the celebrity clergymen, the reformer said: “Let nobody think that I am jealous of them because their churches are big. If I want to make mine big I know what to do. I am the son of Peller. I know where things happen. “Having said all these, I have nothing against them. For I feel that nothing can be except God allows,” Bishop Kayode Peller concluded. Do you think there’s any iota of truth in what Bishop Kayode Peller is revealing about T.B Joshua and Chris Oyakhilome using juju powers to perform miracles or illusions? 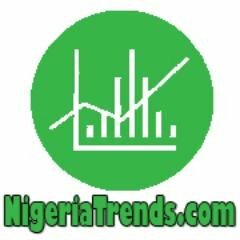 Share your thoughts on Nigeria Trends!